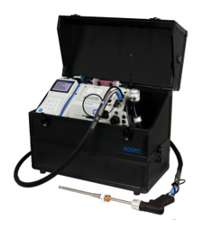 For over 20 years, ECOM America has been the leading manufacturer of portable emission combustion analyzers. 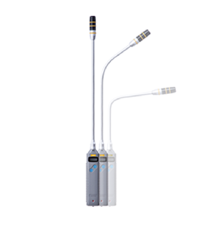 Our instruments provide reliable and accurate results for most combustion applications in the market, and our team’s commitment to safety, compliance and service is unparalleled. 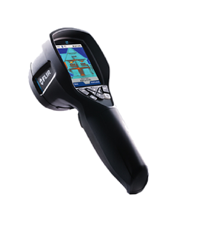 The superior build-quality of our products sets ECOM analyzers apart from other brands. The robust, yet lightweight, metal chassis is German designed, engineered and manufactured–many of our customers have been using the same piece of equipment for over 10 years. 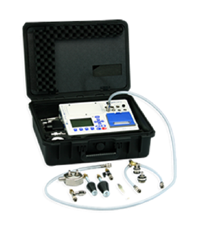 ECOM analyzers are also equipped with sample conditioning features not found with any other brand of portable emission analyzers, which ensure long term reliability and accuracy of your analyzer. Our customers’ needs and expectations drive our service. Our staff of highly trained technical and engineering experts is dedicated to making sure that your equipment downtime is minimal. We take pride in our process that allows us to address your service needs in a timely and cost efficient manner. We even guarantee a 48-hour turn-around* for repairs. 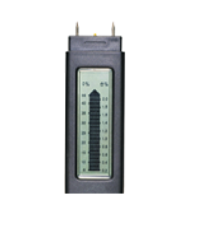 Our service centers utilize state of the art diagnostic tools and equipment, and only offer high quality parts. ECOM strives to provide the best customer service in the industry. 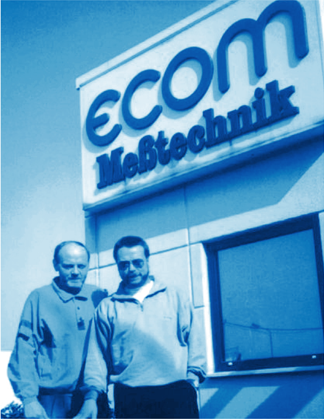 ECOM’s friendly representatives are always happy to answer any questions you might have. We have a wide knowledge base, no matter the application. In addition, any orders you place for consumable parts (Printer paper, filters, ect.) are processed quickly. This ensures your ECOM analyzer stays working as hard as you do. With products like our smart phone app, and Wi-Fi functionality for our analyzers, ECOM stays on the cutting edge of the industry. When you work with ECOM, you can be confident that we are always looking at the latest technology to make things better for you.